Here are some of our favorite rules of thumb and suggestions for keeping the baby’s room as stylish as anywhere else in the house. ROCK ON: Other than the crib, choose furniture you would love to have anywhere in the house. A rocking chair is a nursery must, and there’s no reason to make it a boring one. 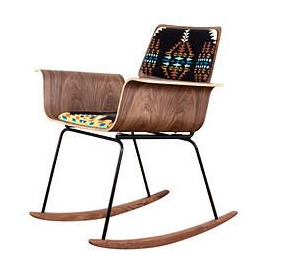 This Pendleton-upholstered walnut rocking chair is mod, airy, and super-comfortable. 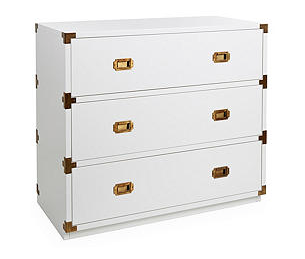 WELL DRESSED: Get a great dresser, not a changing unit—changing trays easily attach to the top of any dresser. 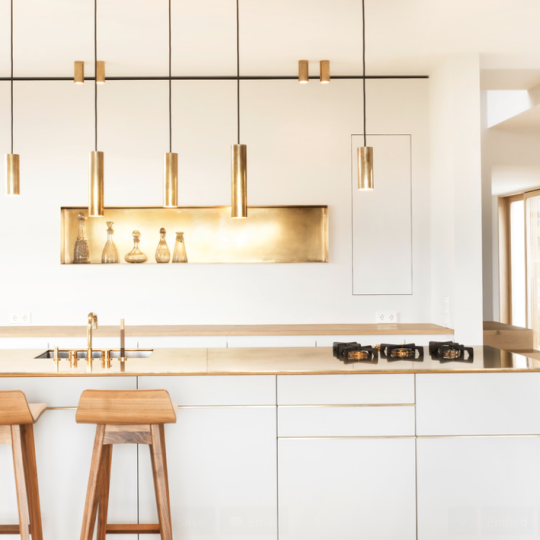 I love a white Campaign piece with brass detailing; it’s a touch traditional but also fashionable. READY SEATING: Prep the room to be a great gathering place. Everyone—from grandparents to godparents—tends to want to spend quality time here, so make the seating inviting and comfortable for all. This black- and-white gingham settee is a cozy perch for relaxed gatherings and bedtime stories. 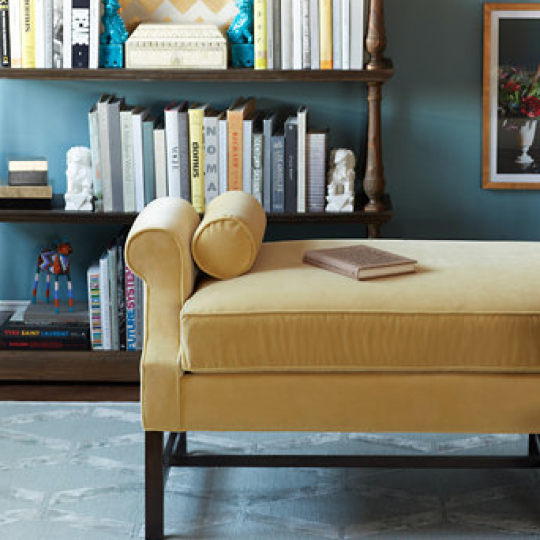 READING ROOM: Make books part of the room’s color story. 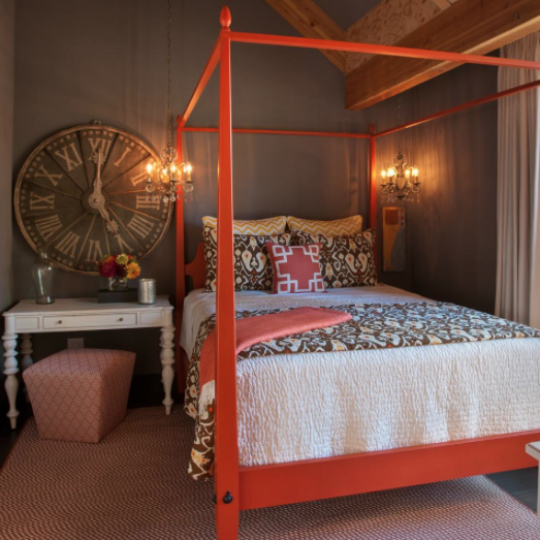 Every child’s room needs plenty of imagination-rich, color-happy books. We love beautifully bound anthologies of fairy tales and favorite classics—when not in use, they will look so darn good on the shelves.